What is EMDR? - Susan E. Peterman, PhD. Eye Movement Desensitization and Reprocessing (EDMR) is a state-of-the-art form of psychotherapy that helps clients rapidly process through painful, traumatic life experiences. EMDR is an integrative, well-researched psychotherapy treatment based on Dr. Francine Shapiro’s Adaptive Information Processing (AIP) model. The AIP model explains how difficult experiences sometimes get “jammed up” during times of high stress. When these memories get stuck, the memories are stored in a maladaptive manner, and can be triggered by other, even benign, situations, causing either heightened reactivity (e.g., overreacting) or avoidance/numbing (e.g., feeling in a daze, isolating oneself). EMDR treatment can provide rapid relief as it unsticks the brain’s hard-wiring, opening the pathways for normal movement and integration of these memories to appropriate memory storage. 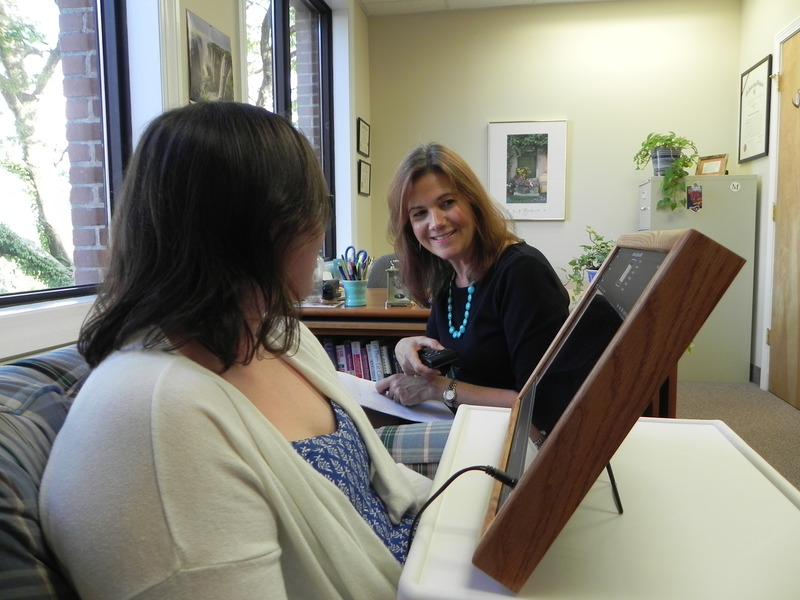 I have been trained in EMDR, and offer EMDR treatment to clients with problems that respond well to EMDR. In addition, I am a volunteer with the Trauma Recovery Network in Hartford County. What kinds of conditions are appropriate for EMDR? Sexual/physical abuse and neglect histories.